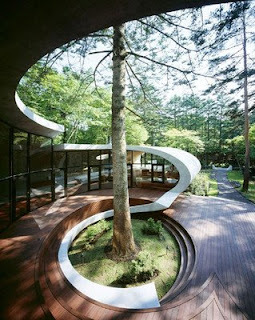 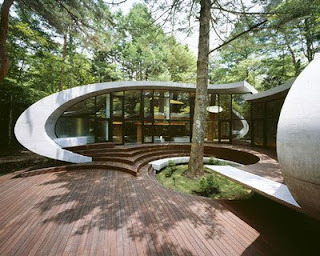 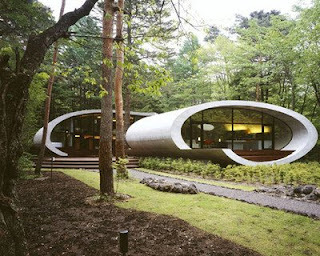 The 'shell house' by architect Kotaro Ide, is a sculptural shell-like structure which has been built in the woodsof karuizawa, located in the nagano prefecture of japan. 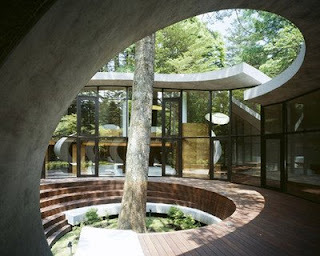 The house is meant to function as a vacation home,which is able to withstand the humid summers and cold winters of the region. 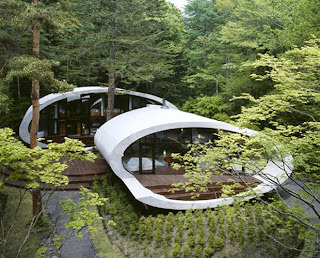 to accomplish this,ide opted not to use the typical wood structure of villas in the area because of their susceptibility to decay easily.